Surrender to the South American spirit. Exotic nature, pulsating cities and much more await you on your South American Cruise. The South American continent lies to the south of North and Central America. It is bounded to the east by the North and South Atlantic and to the west by the Pacific. Its states include Colombia, Venezuela, Brazil, Paraguay, Uruguay, Argentina, Chile, Peru, Bolivia and Ecuador. South America straddles several different climatic regions, which means that there is no one ideal time to travel. Discover the wonders of Brazil on a South American Cruise. Rio de Janeiro with its numerous attractions is a real highlight of the trip. Visit the Corcovado with its world-famous statue of Christ the Redeemer or marvel at the view from the Sugarloaf. It&apos;s then on to Argentina, with her fascinating "Land of Fire" and the country&apos;s southernmost city, Ushuaia. Spend time in the Tierra del Fuego National Park or take a boat down the Beagle Channel. Some South American cruises will take you to Chile. The so-called City of Eternal Spring, Arica, offers some interesting excursions. Take a trip into the Andes or visit an Inca settlement. 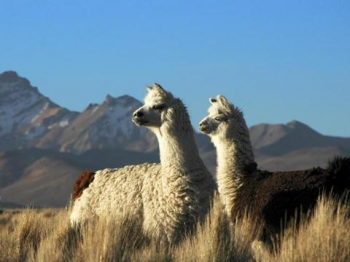 The country of Peru is also an extremely rewarding destination for visitors. Starting out at Callao, one of South America&apos;s largest ports, you get to the capital city,Lima. Take a stroll through the old town of Lima, which has been declared a World Cultural Heritage site by UNESCO, or take a look at the cathedral on the famous Plaza de Armas. Let the Colombian port city of Cartagena work its magic. A visit to the impressive Santa Cruz monastery will be rewarded with breathtaking views of the city. The idyllic streets of the old town invite you to stroll around and watch the world go by. The South American Cruise - an unforgettable journey with many faces. Discover the many facets of the continent on a South American Cruise. It won&apos;t just be the pulses of adventurers and nature lovers that will be set racing here: whatever your interests, this cruise will give you everything you need for a perfect trip.